Easily organize and add CDs. Holds cases securely in place. Can be placed horizontally or vertically. 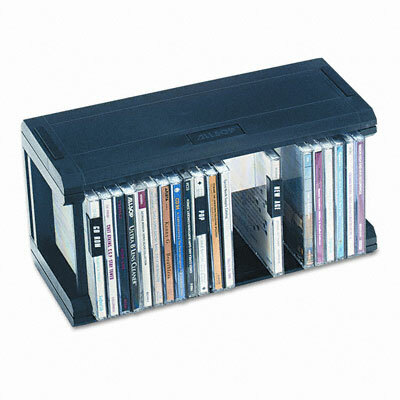 Media organizer features a slotless design that allows you to insert new CDs without having to rearrange your entire music collection. Patented "fingers" on the base keep jewel cases from falling over. Place it vertically or horizontally for greater flexibility.